Boily, Frédéric . "Quebec Liberal Party". The Canadian Encyclopedia, 07 June 2016, Historica Canada. https://www.thecanadianencyclopedia.ca/en/article/parti-liberal-du-quebec. Accessed 25 April 2019. ​The Liberal Party is both the oldest political party in Québec and the party that has been in power most often in the province’s history. Premier of Quebec (courtesy Government of Quebec). The Liberal Party is both the oldest political party in Québec and the party that has been in power most often in the province’s history. The party was at the forefront of the Quiet Revolution in the early 1960s. It supports federalism and promotes economic development in the province. The party that became the Québec Liberal Party (QLP) at the end of the 19th century had its beginnings in the early 1870s. During the provincial elections of 1886 and 1890, the Liberals joined forces with the Parti national, and then the QLP itself formed the government after the 1897 election. 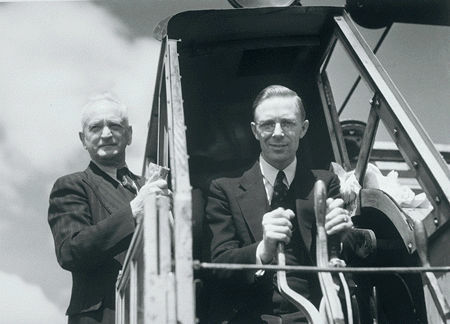 Benefiting from the success of Wilfrid Laurier federally, the QLP governed in Québec until the middle of the 1930s. During this period, it won some resounding electoral victories against the conservatives. The party consisted of well-known public figures who favoured a conventional liberal program based on economic development. The QLP was a centrist and federalist party that represented the interests of the business community. At the beginning of the 1930s, Louis-Alexandre Taschereau was the leader of the QLP. The combined effects of the Great Depression and corruption in the party had slowly eroded the political capital of the QLP and, as a result, the party entered a period of decline. Diminished after the 1935 election, the Liberal government gave way to Maurice Duplessis’ Union nationale in the 1936 election. However, the QLP returned to power under Adélard Godbout in 1939. Although the QLP’s political adversaries accused it of being too close to the government in Ottawa, the party carried out some ground-breaking initiatives under Godbout’s leadership, including giving women the right to vote in 1940 and creating Hydro-Québec in 1944. Defeated in the 1944 election, the Liberals began a 15-year period in opposition. Under the leadership of George-Émile Lapalme, the QLP reinvented itself in the late 1950s as a party representing the interests of the people. Lapalme was replaced as party leader by Jean Lesage,who, along with his so-called “équipe du tonnerre” (“dream team”), led a vigorous campaign against the Union nationale’s Antonio Barrette in the 1960 election. Benefiting from voter interest in the election, the QLP returned to power with 51 seats in the National Assembly and 51.5 per cent of the vote. The Liberals championed an innovative program that would leave its mark on Québec’s subsequent political evolution. Under the slogan “Maîtres chez nous” (“Masters of our own house”), the government launched a process of political modernization that embraced social and economic change in Québec society. This period in Québec’s history is known as the Quiet Revolution. During two terms in office (1960–62 and 1962–66), the Liberals significantly updated the structure of the government and the public service in Québec. The party left its mark particularly by nationalizing the province’s electric companies in 1962, a venture that came to symbolize the period’s political transformation. 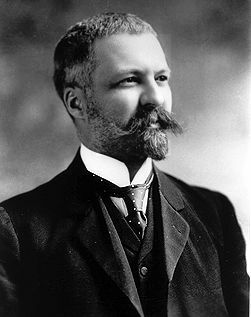 Under the leadership of the QLP, the Québec state adopted a more interventionist approach, even though Lesage himself claimed to have a rather conservative disposition. In 1966, the Liberals were ousted from power following what has been described as a “phony” victory by the Union nationale, which received less of the popular vote (40 per cent) than the Liberals (47 per cent), but which benefited from greater support in the regions. Under the leadership of the young Robert Bourassa, the QLP won 72 seats in the 1970 election and regained power. Bourassa, who had a reputation for taking somewhat vague positions on constitutional matters, promoted Québec’s economy and its autonomy. In the 1970s, the Liberals were known especially for the emphasis they placed on major economic projects and for their promise to create 100,000 jobs through the construction of public buildings, the massive James Bay hydroelectric dam, and other large-scale infrastructure such as highways. The Liberal government also implemented significant social measures by, for example, establishing a health insurance program (see Health Policy). Despite having been faced with the October Crisis in 1970, the QLP won a convincing victory at the 1973 election, taking 102 of 110 seats in the National Assembly. However, the Bourassa Liberals’ second term was difficult, as the party lost the support of its traditional allies — including the anglophone community and part of the business community — and ultimately suffered defeat at the hands of the Parti Québécois (PQ) in 1976. The Liberals found themselves in opposition with a new leader, Claude Ryan, who led the party through the 1980 referendum and the 1981 election. Ryan never managed to revitalize the QLP, and the party did not return to power until 1985, when it won 99 seats and took 55 per cent of the vote with Bourassa once again at the helm. The Liberal governments of the 1970s were not right-wing, but the party’s orientation changed during its following two terms in office (1985–89 and 1989–94). Principally, the QLP proceeded to clean up the government’s finances (see Public Finance). It created a team of agents, sarcastically called “boubou-macoutes,” who were responsible for confirming that recipients of welfare benefits complied with the rules for receiving aid. (“Boubou-macoutes” was a spin on the term “tonton macoutes,” the name given to the brutal paramilitary force created by Haitian president, François Duvalier. “Boubou” was a nickname for Robert Bourassa.) The Liberals also proposed a review of government operations. It was a turbulent period for the party. The Liberals faced a significant backlash on language matters, particularly with respect to bilingual signage (see Bill 86), and they also had to manage the Oka crisis, which pitted the government against the Mohawk people in the summer of 1990. During this period, the QLP was a principal player in the 1987 constitutional negotiations that led to the Meech Lake Accord. The party’s constitutional position was reflected in the accord’s five conditions, particularly the clause that recognized Québec as a distinct society. Following the 1990 failure of the Accord, the QLP adopted a nationalist orientation. On 22 June 1990, Bourassa stated that Québec was “a distinct society, free and capable of assuming its destiny and its development.” The party ultimately returned to its federalist position, but some Liberals left the QLP to form the Action démocratique du Québec (ADQ). 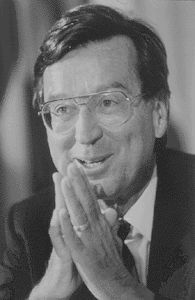 The party unsuccessfully defended the Charlottetown Accord during the 1992 referendum, and it was then defeated in the 1994 election with Bourassa’s successor, Daniel Johnson, at the helm. 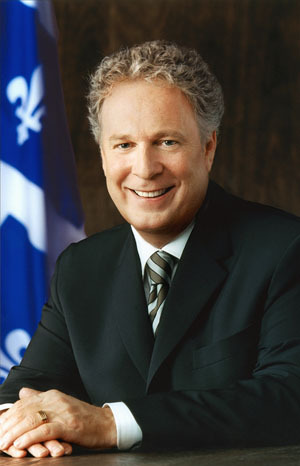 In 1998, the leader of the Progressive Conservative Party, Jean Charest, made the jump to provincial politics and became leader of the provincial Liberals. Given the strong role Charest played for the “No” side in the 1995 referendum, he was seen as the best candidate to challenge Lucien Bouchard, the leader of the sovereigntists. However, the QLP soon found itself facing an election campaign. Unprepared, Charest fared poorly against the PQ leader. Despite receiving a slightly higher percentage of the vote than the PQ (43 per cent to 42per cent), the Liberals took only 48 seats, compared with 76 for the PQ. With a battle-hardened Charest, the QLP won the 2003 election and took 76 seats with 46 per cent of the vote. The party proposed reforms intended to “re-engineer” the state, while at the same time focusing on healthcare. However, this drive for reform soon provoked a backlash, and the Liberal government was forced to make an about-face on a number of fronts. When the March 2007 election dawned, the party was weakened and consumed by the so-called “crisis” over reasonable accommodation, and support for the ADQ rose as a result. The QLP came out of the election in a minority position — 48 seats, compared with 41 for the ADQ and 36 for the PQ. In 2008, the party was handed a majority, winning 66 seats in the National Assembly, but it remained the second-choice party for francophone voters. Between 2008 and 2012, the QLP focused on promoting the development of the province’s natural resources, particularly in the mining sector, with an ambitious project called the Plan Nord (Northern Plan). Once again, the party presented itself as a champion of economic growth. However, the announcement of an increase in provincial postsecondary tuition fees provoked major demonstrations by student associations, called the “Maple Spring” (see 2012 Québec Student Strike). 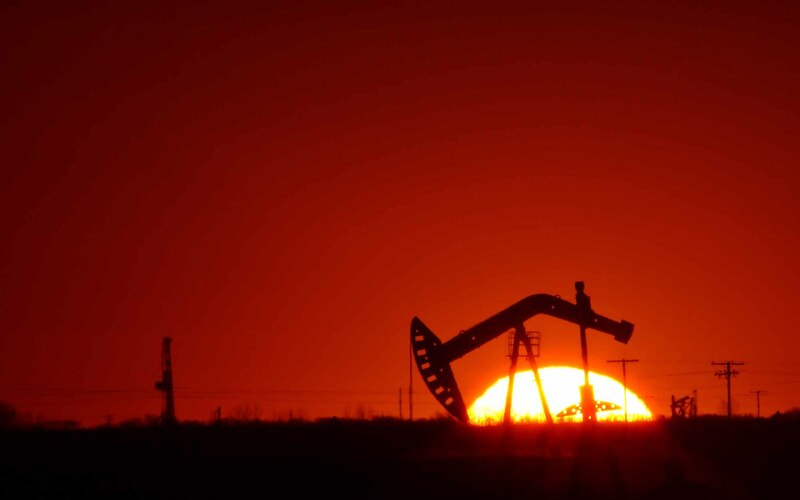 In addition, scandals involving corruption and collusion in the granting of contracts in the construction industry undermined the credibility of the Liberal government. It was in this context that the QLP was defeated in September 2012. Nonetheless, the party retained 50 seats and received 31 per cent of the vote. 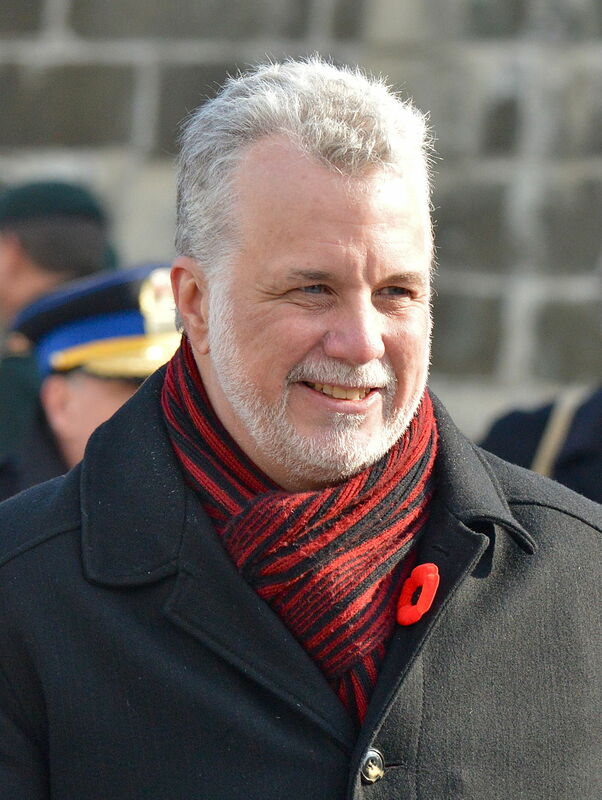 Since March 2013, the QLP has been led by Philippe Couillard, former health minister in the Charest government. Running a solid campaign in the spring 2014 general election, the Liberal leader denounced the idea of another referendum and focused on the economy and job creation. This strategy returned the QLP to power as majority government with 70 seats and 41 per cent of the popular vote. Frédéric Boily, « Le Parti libéral du Québec et l’émergence du centre droit (1960-1976), Bulletin d’histoire politique, vol. 21, n° 1 (automne 2012) : 150-160. Vincent Lemieux, Le Parti libéral du Québec. Alliances, rivalités et neutralités (Québec : Les Presses de l’Université Laval, 2008). Michel Lévesque, Histoire du Parti libéral du Québec. La nébuleuse politique (Québec : Septentrion, 2013). Michel Lévesque et Martin Pelletier, Le Parti libéral du Québec : bibliographie (1867–2006) (Québec : Bibliothèque de l’Assemblée nationale du Québec, 2006). François Pétry et al., Le Parti libéral. Enquête sur les réalisations du gouvernement Charest (Québec : Les Presses de l’Université Laval, 2006).